Vita Perfetta Bath Cafe is breaking new grounds. Going where no one has ever bean and that’s saying a latte! Vita Perfetta Bath Cafe is the ultimate in luxury. Treat your guests to a buffet of moisturizing bath creams all swirled with scented bath salts, glitter, rose buds and more. Our charming Bath Cafe selections are all styled after delectable frappes with matching designs, cups, straws and names. Like the scrumptious Pumpkin Spice Latte Frappe whose auburn colors and cinnamon aroma will have you dreaming of autumn. Some of our other crem dela crem flavors are the decadent mocha soak, the soothing matcha latte and the sweet caramel frappe. 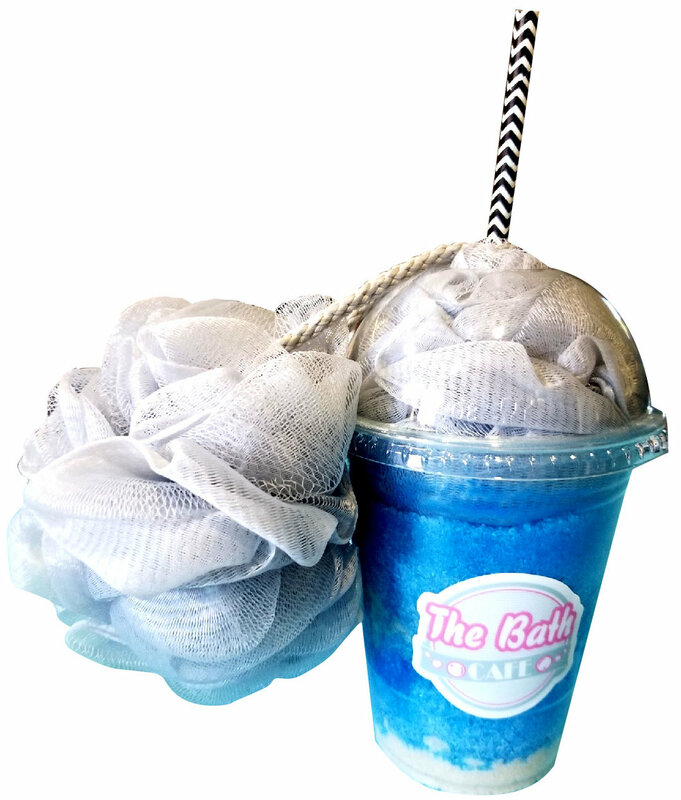 On top of that, each Bath Cafe Frappe comes with its own loofah pouf. Selected by your guest from a wide variety of colors. Let your troubles wash away with Vita Perfetta Bath Cafe.